We’ve had quite a bit of snow here in New England over the past couple of weeks. It is New England though…we had a snow storm one day and sunny skies and temps in the 50s the very next day. 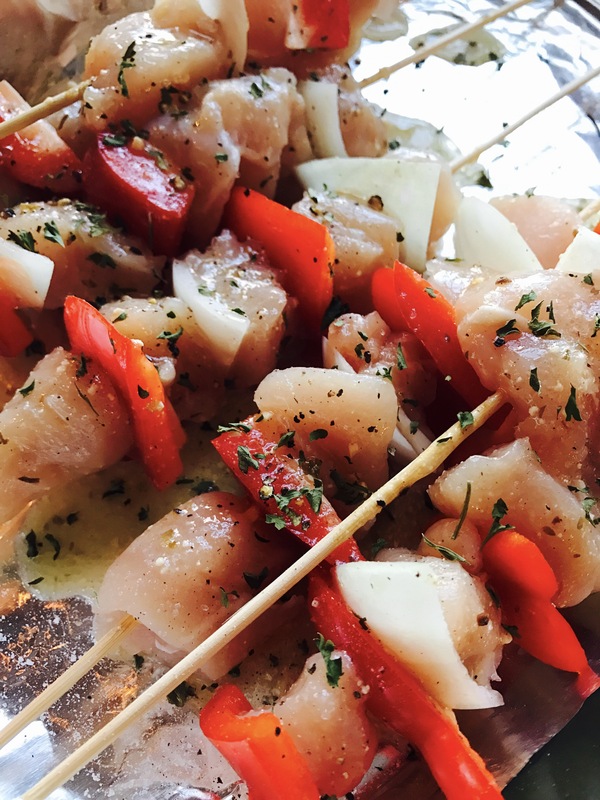 The warmer days instantly drive cravings of seafood, light and bright flavors, BBQ, freshness! So I decided to splurge and buy fresh Maine jumbo lump crab meat, ripe avocados and the freshest salmon I could find. 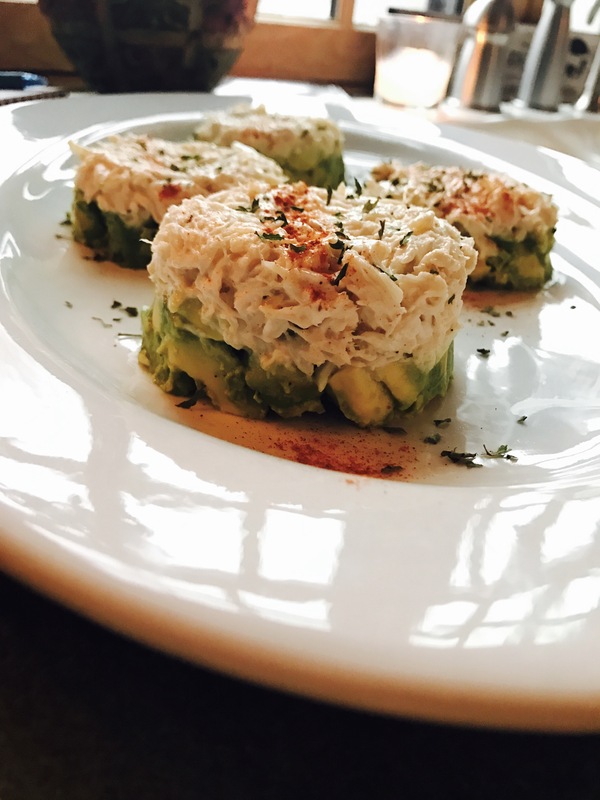 These Avocado Crab Cakes are certainly not an everyday thing here at the homestead but are truly delicious and worth every penny. Next, toss the diced avocado with a good squeeze of fresh lemon juice and a pich of salt and pepper. Set aside. Now it’s time for the crab. Mix the crab meat, mayo, old bay, and another pinch of salt and pepper. Grab a ramekin, I used a 1 cup ramekin…take two heaping tbsp of your crab mixture and pack it tightly into the ramekin. 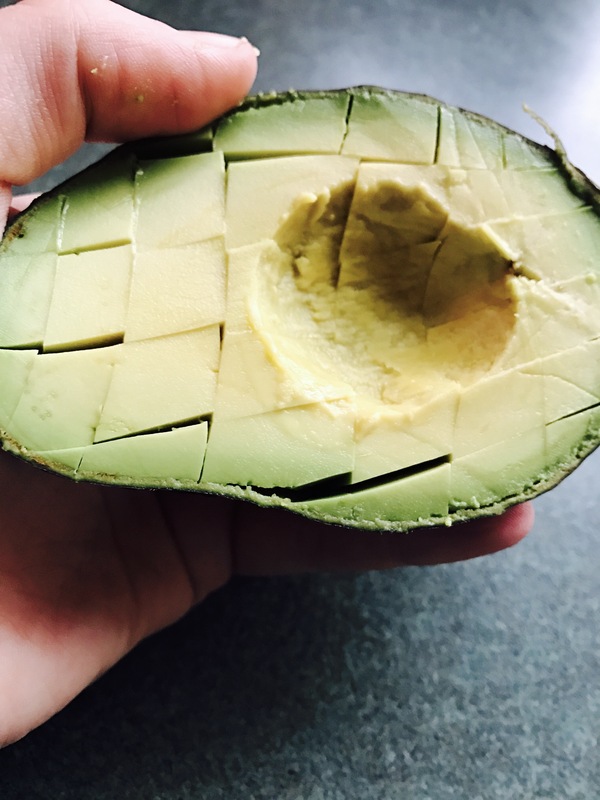 Then pack the same amount avocado on top of the crab. 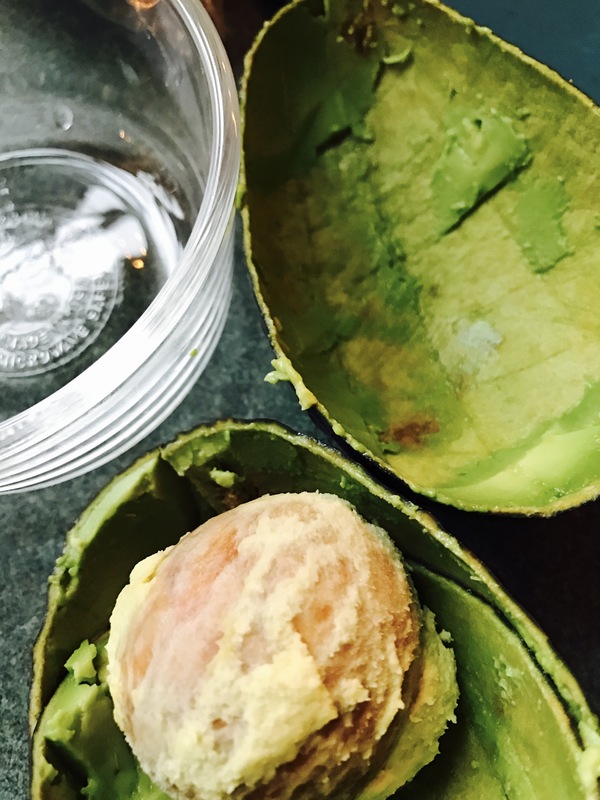 Once both are packed in tightly, take the back of a knife and run it along the inner edge off the ramekin; separating the avocado and crab cake from the ramekin slightly. 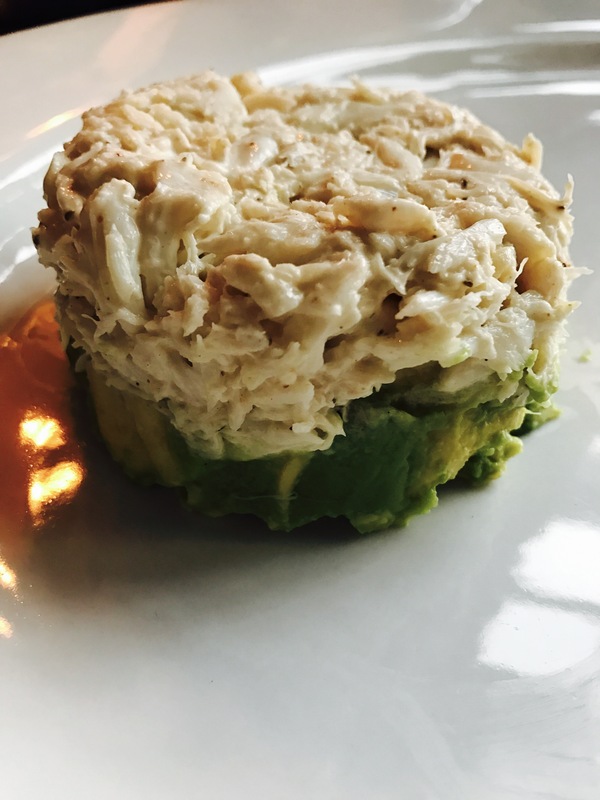 Quickly turn the avocado and crab onto a serving plate and there you have it!!! Top it with a little squeeze of fresh lemon and some chopped cilantro. 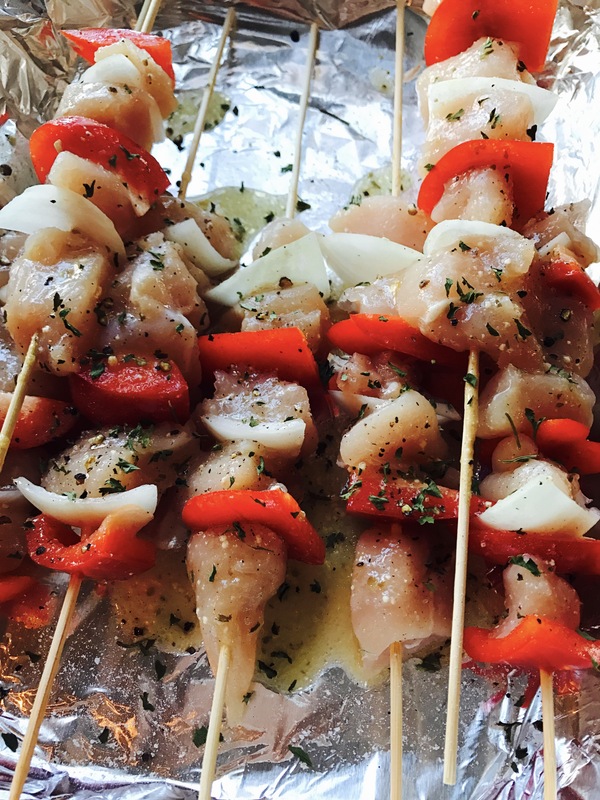 Perfect with seafood, steak or chicken! Like we’re having tonight!! 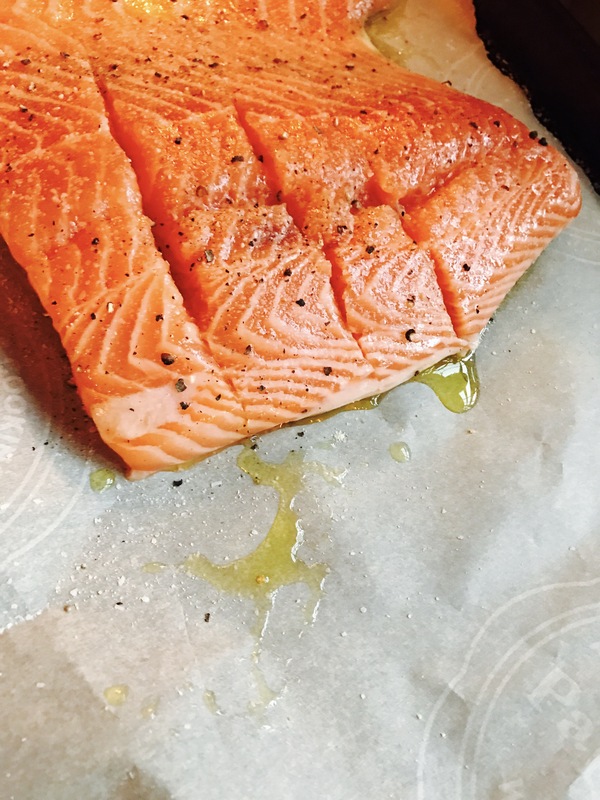 People will think you’re all “fancy” when you make this dish. But really… all you need is 3 ingredients and a ramekin.